Home CONCERTS DARREN ESPANTO EVENTS MUSIC Busy October for Darren Espanto! Busy October for Darren Espanto! 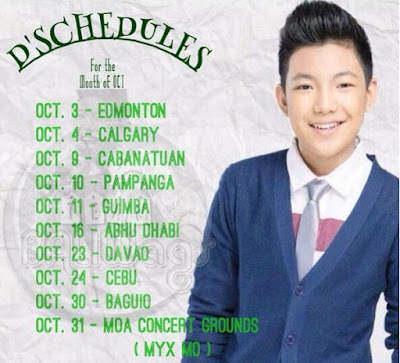 Darren Espanto is the busiest kid in town, with his pretty loaded schedule this month of October for his "D' Road Tour". During the 1st 10 days of the month, Darren was in Canada for two shows (Oct. 3 in Edmonton, Oct. 4 in Calgary). then back to the country for 3 shows before going to Abu Dhabi in the middle of the month. 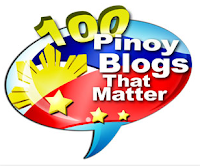 His road tour continued in Cabanatuan, Nueva Ecija last October 9, followed by another one in Pampanga yesterday, Oct. 10. At this very moment tonight, Oct. 11, his concert is currently taking place at the Our Lady of Sacred Heart in Guimba, Nueva Ecija. Darren's remaining shows this October are in Abu Dhabi on the 15th, Davao on the 23rd, Cebu on the 24th, Baguio on the 30th and finally, a performance in the MYX Mo 2015 to be held at the MOA Concert Grounds on the last day of the month. You are so blessed Darren! Good luck on your shows! StarStruck 6 Ultimate Final 14 revealed!